Dance Group does a Mortal Kombat Tribute in Asia’s Got Talent with Three “Dance Fatalities”! What happens when a Dance Group showcases their geek pride in Asia’s Got Talent and does a Mortal Kombat performance COMPLETE WITH DANCE FATALITIES?! Much epicness ensues. Check it out! The ADEM Dance Crew really know how to put on a show! Hailing from the Kyrgyz Republic, these guys really made a huge impact with their choreography mixed with some sweet contortionist skills. In fact, they did such a good job, that Ed Boon, one of the co-creators of the MK Series, took notice and tweeted about their performance! 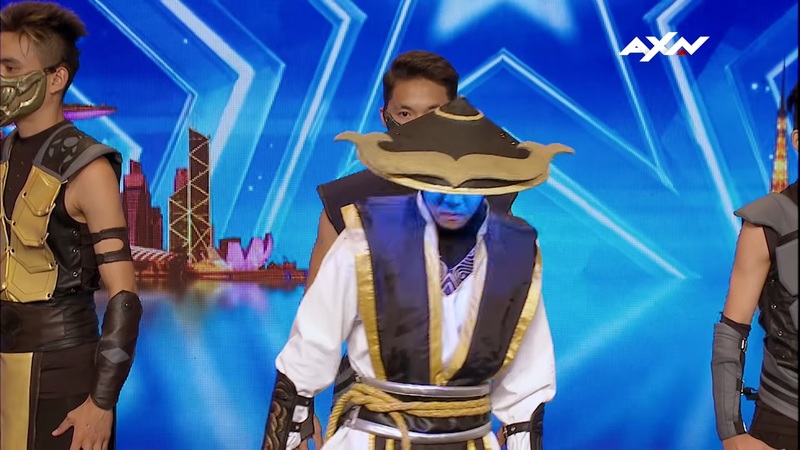 Check out this video of dancers (dressed as Mortal Kombat characters) on the show ASIA’s GOT TALENT. It’s always awesome when televised talent shows get some geek contestants! Just last year we had a guy sing the Dragon Ball Z song in THE VOICE Thailand. Now, with ADEM, we wish you all the best! We’re proud of you guys making your geek mark into the world! Previous articleThe First Official ‘Black Panther’ Movie Trailer from Marvel just hit the Net!